There is no more cost-effective way to prepare North American forests for climate change than to engage major timberland owners. Manomet is building a network of forest managers, bringing them up to speed on climate science, and developing management approaches to maximize the vitality and resilience of forests in a rapidly warming climate. This is how we enact climate solutions at a scale that matters. The private forestry sector in the U.S. is an enormous, untapped lever for climate preparedness. Forests provide most of our clean drinking water, store vast amounts of carbon, and provide wildlife habitat. To maintain these benefits in the face of the rapidly changing climate, forest landscapes need to be managed differently. Corporate forest owners and managers are the only ones in position to implement these changes on the approximately 400 million acres of forest under their management in North America. 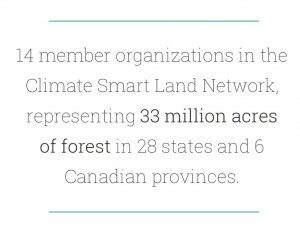 In 2014, Manomet formed the Climate Smart Land Network (CSLN) to engage the timber industry to respond to the challenges of climate change. Over 30 million acres of private timberland are now in the network, including the largest single private landowner in the U.S., Weyerhaeuser. Our commitment is to put climate science into action. We work one-on-one with forest and land owners to integrate this knowledge into decision making. Our partners are responsible for putting this knowledge to use on the ground in practical ways that make their forestland more resilient to climate impacts over the long term. CSLN members share lessons learned with network partners, enhancing each other’s ability to adapt to climate change. By first building trust and then providing sound science, in four years we have convened and grown a group of climate leaders within a key industry. This is exactly the type of leadership needed in the for-profit sector to solve a problem as large and complex as climate change. As an organization that manages land for private landowners, we have to be profitable and our clients have to be profitable. But, I always ask, what better use would you have for land than a forest? 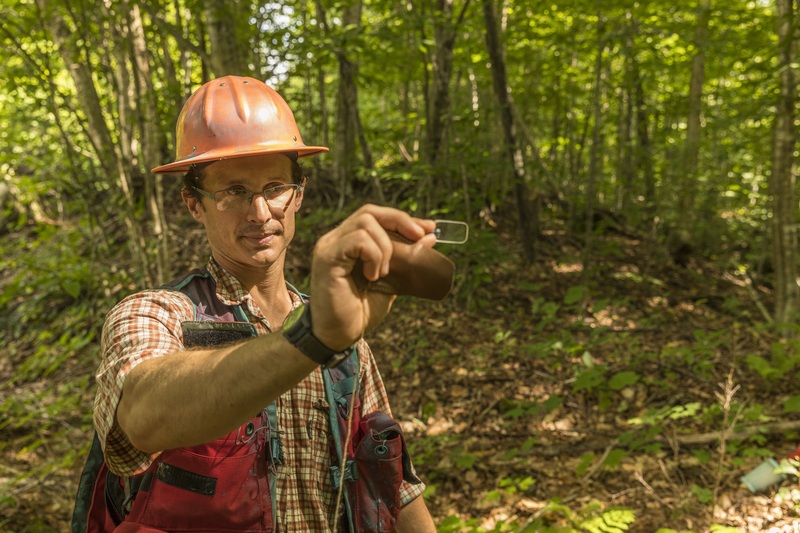 Tyler Pelland, a forester with LandVest, measures a forest in East Haven, Vermont. After attending Manomet workshops, 99% of foresters said their understanding of climate change was improved and 83% agreed they can now implement a useful approach to adaptation. 64% of network members are using CSLN materials to educate their employees or members of their organization about the impacts of climate change, with another 21% planning to do so in the future. 57% of CSLN members are encouraging the natural regeneration or planting of tree species and varieties expected to perform better under future climate conditions, with another one-third considering these changes. 71% of CSLN members are now improving the drainage of forest roads and trails to deal with heavier rainfall. There’s so much information out there with climate change, and forest health and resiliency issues. But it’s very hard to keep track of it all, and Manomet seeks out that information and distills it down into a form that’s very useful and practical for our land managers. CSLN members gathered in New Hampshire in June 2018 to learn the latest science and from each other. CSLN members are actively working with Manomet to help connect with new funding sources and share their thoughtful testimonials about the value and reach of the program. 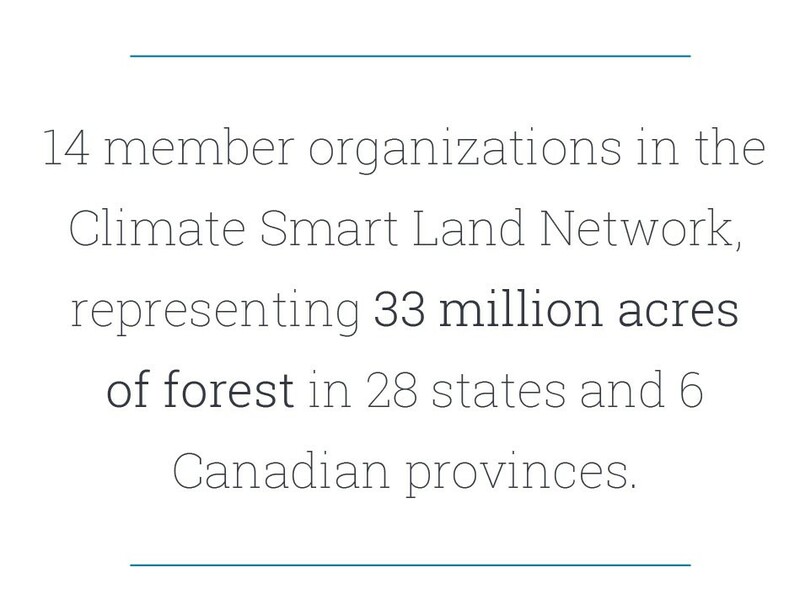 Find out how our Climate Smart Land Network is building a network for peer-to-peer learning among key players in forest industry.